Starting December 6, 2015 the JCC is kicking off a new program under the auspices of famed swim instructor, our own Rick Evans. 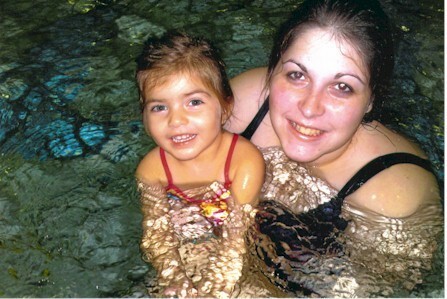 This dynamic course is designed to hone water skills for infants and toddlers. Rick and his swim staff will help parents and children conquer fears and acquire a strong sense of comfort and safety in the water. The class will include instruction and drills to help parents reinforce their child's progress. Call Rick directly for more information regarding times and cost and to secure your spot. 570.824.4646 or 570.947.6766. One parent/caregiver with one child. This program encourages acquiring water skills through instruction for the youngest swimmers. An interactive session for babies through toddlers allowing them to participate in the pool together with a parent/caregiver. The goal is to develop each child's cognitive and physical skills in the water. Class goals include teaching the parent how to help the child achieve comfort in, around and under the water. This program builds a foundation for a safe, happy young swimmer. Sessions are one hour with 30 minutes of instruction; the balance of the time is devoted to reinforcement by the parent and child to the acquired skills in the aquatic environment. This program is designed for toddlers that are not quite ready to leave the security of being one to one with an adult in the water. Nervous or fearful students have their fears conquered allowing for submerging their head to instill comfort and confidence. Coaxing students to submersions, back floats, independent kicking and breath control. The student is encouraged with the use of drills, songs and props. Sessions are one hour with 30 minutes of instruction and the balance of the time used for guided parental and student reinforcement. Enjoy learning with safety in our warm pool. All instructions will have experience working with children and appropriate water safety skills. Please note: Lessons for all ages can be arranged by contacting Rick Evans at 570-824-4646 or 570-947-6766.